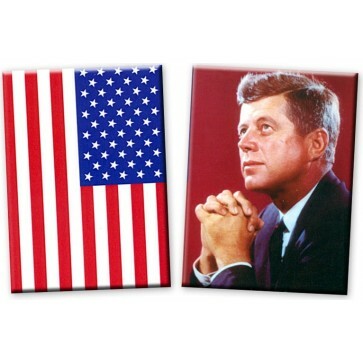 John F. Kennedy and the American Flag, 2-1/2" x 3-1/2"
The rights of every man are diminished when the rights on one man are threatened. 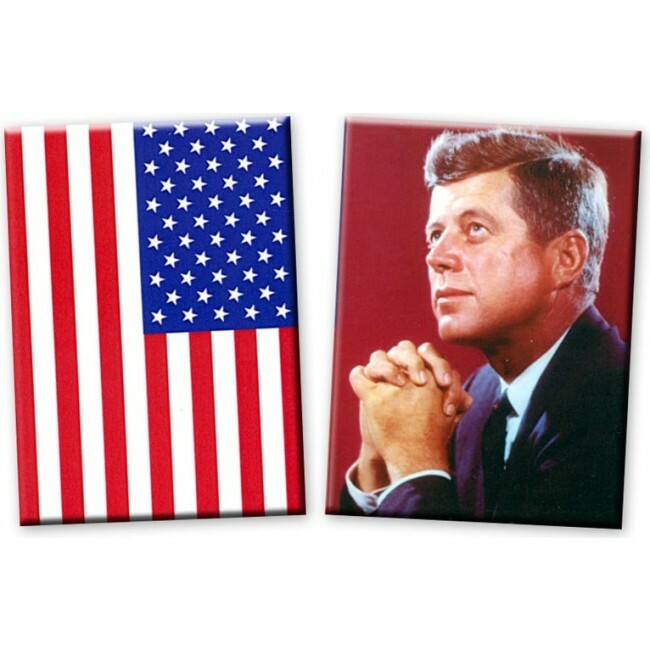 Get the Patriotic Magnet Set, featuring John F. Kennedy and the American Flag, to show your pride for liberty and justice for all! 2.5" x 3.5".